Melppalam (The Fly Over) 2007 Mathrubhumi Books, Calicut. 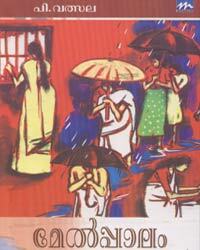 In this novel, Vatsala has taken an out of the way, though I haven’t read all of her works. The narration does not entangle within a plot. The break through is liberally celebrated. Hence the change reveals as well as the traditional concepts cool of the hereditary life images. , which is but the novel is not being lost for ever. The idea of the Express High way had aroused a voluminous approval and disapproval in the media. Yet, the novel is not infected with or eloquent in relation with the theme. The sensors of creativity reach to the degenerating life, Innumerable images from the rustic life, enriches the novel, as revealed by, S.K. Pottekkat, before. I am surprised by this. There is one like Rugmini, who miss steps. That is important. It is meaningful. Wild Ducks: and the “Kuttippuram Palam” by Edassery, remains in my memory, an echo repeated.